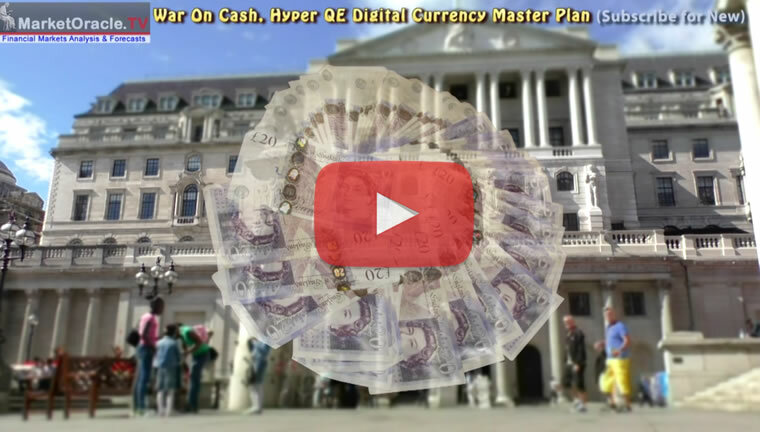 Bank of England Hikes UK Interest Rates 100%, Reversing BREXIT PANIC Cut! The Bank of England with much forewarning hiked UK interest rates by 100% today, raising the base interest rate from 0.25% to 0.5%. However, before everyone starts to panic that this heralds the start towards of rates rising to pre 2008 levels, instead the reality is that all that the Bank of England has done is to reverse the PANIC BREXIT INTEREST RATE CUT of August 2016. 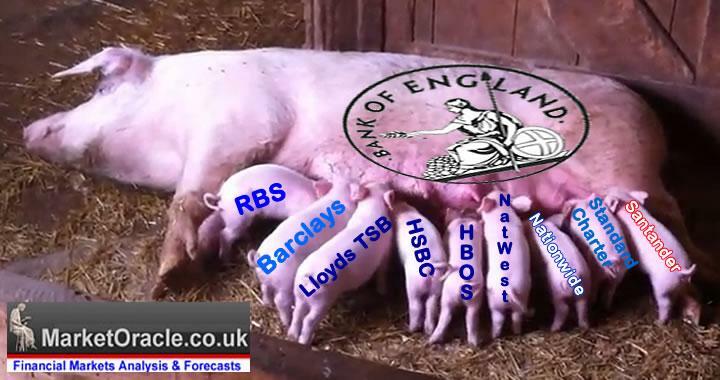 Which had seen the Bank of England cut interest rates to there lowest levels in the Bank of England's 320 year history. Which followed over 7 years of rates being held at 0.5% the duration of which had seen virtually ALL economists reveal the true extent of their ineptitude as they had collectively consistently forecast that UK Interest rates were always just about to head higher, that a a series of rate hikes were always just months away, which not only never materialised but culminated in the reality of a RATE CUT last year! The base rate graph illustrates one fundamental fact that exposes the Bank of England's propaganda that the clueless economists have once more swallowed hook like and sinker, for today's rate rise has nothing to do with controlling inflation, or any of the other reasons which have spewed from the mouth of Mark Carney today. For what really motivates the Bank of England's interest rates policy is not Inflation or the UK economy for inflation has soared to over 3% which under normal conditions would demand a normalised base interest rate of about 4% to curb. Instead there has only ever been one motivation behind the Bank of England's setting of interest rates at PANIC levels of near 0% which is to generate artificial profits for the Bank of England's banking sector bankster brethren so that they don't go bankrupt, and therefore THAT IS THE PRIMARY MOTIVATION FOR TODAYS MARGINAL INTEREST RATE HIKE that ensures that UK interest rates REMAIN at PANIC LOW LEVELS so as the banks continue to generate artificial profits at the expense of savers who are ALL in receipt of SUB INFLATION interest on their savings. So my advice to savers and investors at the start of 2016 proved highly prescient that savers should seek to lock into the then higher savings rates being offered ahead of BrExit which since have continued to fall. In fact we have become so conditioned by near zero interest rates that we forget we are living in a time of central bank PANIC, which is what 0.5% interest rates let alone the cut to 0.25% reflected near 8 years of perpetual central bank PANIC! So despite the mainstream propaganda media showing happy savers literally dancing and skipping in the wake of today's base rate hike, instead the reality of a stealth theft of the value of savings remains as inflation has soared to over 3%, which means EVERY saver today is having the value of their hard earned savings stolen which today's base rate does little to alter, as it would require a base rate of at least 2% before savings rates would start exceed CPI inflation, let alone the significantly higher RPI. I will further cover the prospects for what today's marginal rate hike means of means for savers, investors and the UK housing market in my forthcoming in-depth analysis, so ensure you are subscribed to my always free newsletter and youtube channel.